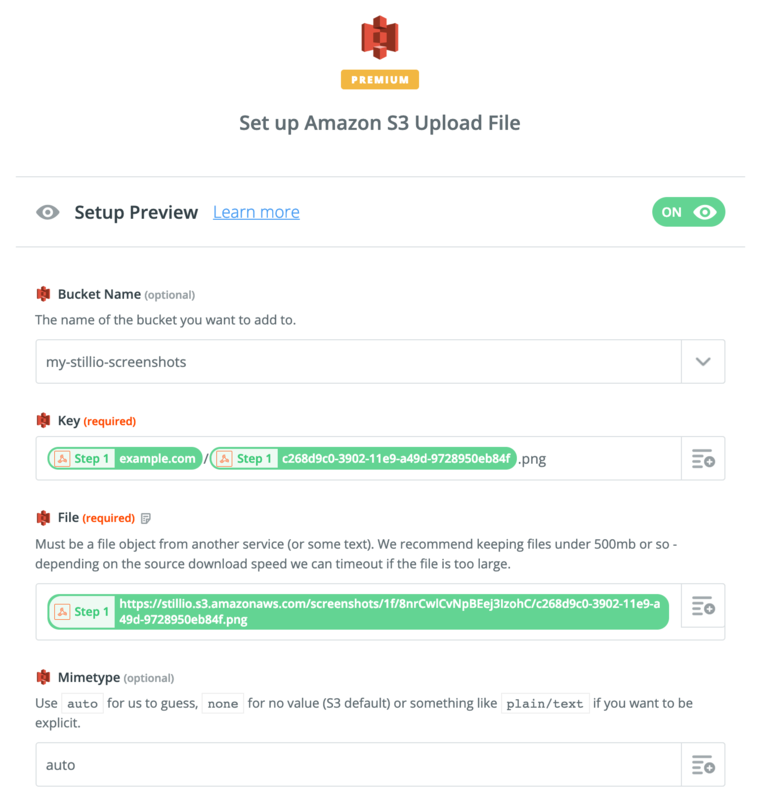 Stillio lets you sync all screenshots to an Amazon S3 Bucket by using Zapier. Search and select the "S3" app. 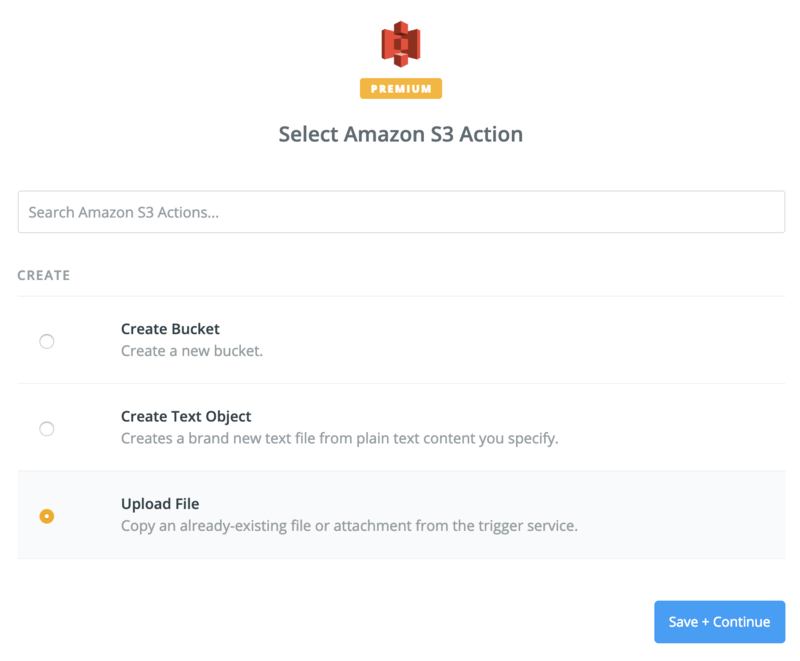 In the next step, you need to Select an Amazon S3 Action. 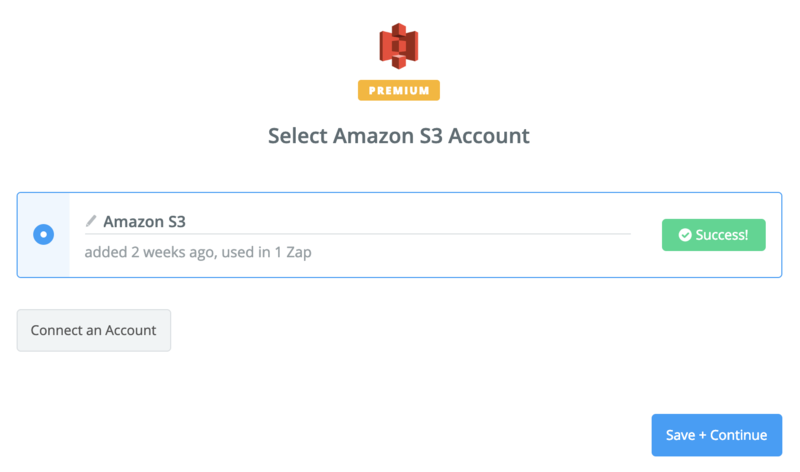 In the next step, you need to connect your S3 Account and grant access to Zapier to use it. ⚠️ An Aws Access Key ID and Aws Secret Access Key are required. Setting up your AWS S3 Bucket and granting the appropriate rights to an Access Key ID and Secret Access Key are beyond the scope of this document. Contact your system administrator or an AWS specialist to do this properly and securely. Key - This field defines where and how the screenshot is stored. You need to define a format similar to the example above, as you need to type ".npg" at the end yourself. You can also combine parts to create a subfolder-alike structure. Select the "Insert a field" icon at the end of the row which shows the data from Step 1 as this is where the "payload" data from the Trigger comes into action. The first part ("example.com") comes from As:object Schema:about Schema:is Part of Schema:name, the second part is As:object Schema:identifier. Zapier also supports technical advanced options for custom filenames. File - Select the row As:object Schema:content URL as this refers to the original location where your screenshot is stored within the Stillio cloud. 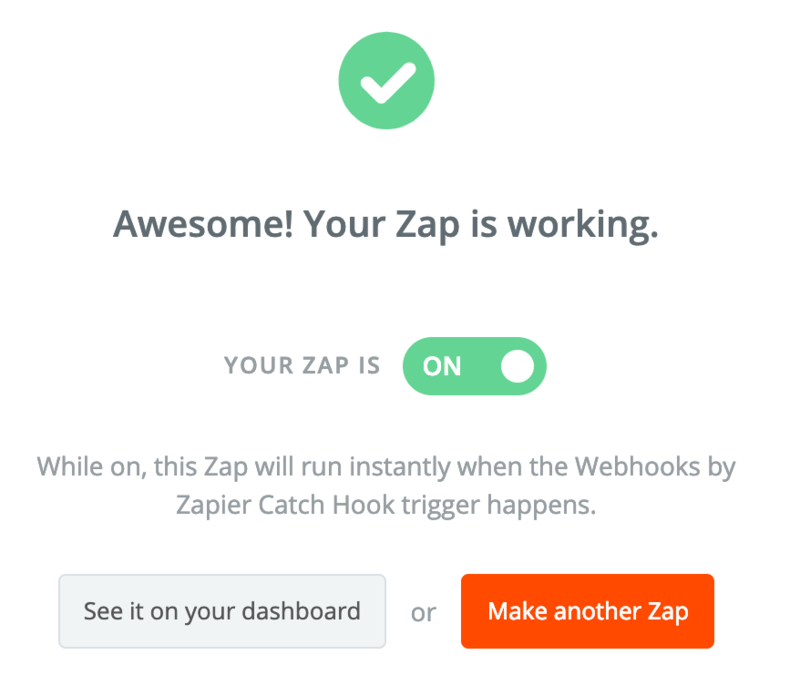 In the next step, you let Zapier send a test file to your S3 bucket. Click "Send test to Amazon S3". As you can see in the above example, a subfolder "example.com" was created for the part before the "/". 🎉 Congratulations! Your Stillio screenshots will now be saved to your S3 Bucket.